The Elbphilharmonie concert hall is one of Hamburg’s most magnificent buildings, located along the waterfront in the HafenCity quarter. On this tour, discover how the architectural wonder was built using the foundations of an old warehouse, then ride the curved elevator up to the 6th and 8th floors. 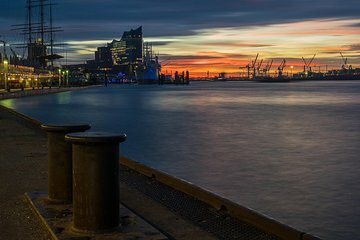 Admire the unique façade as you walk around the Elbphilharmonie Plaza and enjoy a stunning view over Hamburg harbor.